My card today features little Tilda with Eggs and Chick. I thought it was time I actually made a card for Easter. I have very little time lately and am very pleased the clocks have altered. She has been coloured using distress re-inkers and I have added a sprinkle of Frantage embossing around her. The lace (if you can see it), pearls and flowers are from The Ribbon Girl. Leaves are cut with Magnolia dies, the card and papers were cut using GoKreate dies and Tilda is on a Marianne die cut. I never seem to run out of the paper in this pad. It makes an appearance every Spring and then goes back into it's drawer for the next. Its lovely weather here, hope you are sharing it too. 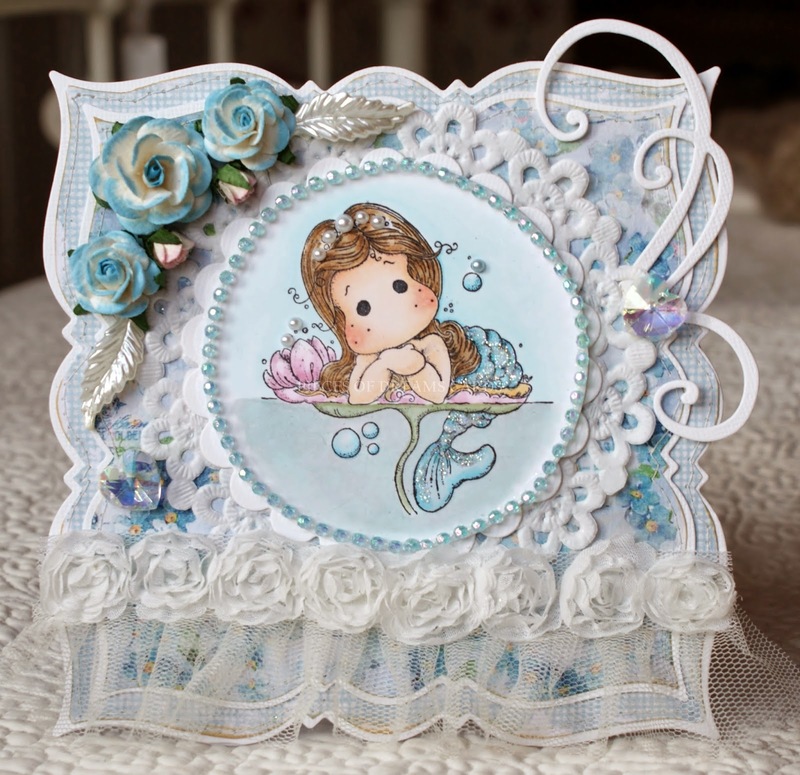 Today I have another Magnolia Zodiac Tilda card. This time it's Virgo Tilda. I love her hair but I'm new to colouring with inks & found it hard to do. Still not happy with it really, lol. 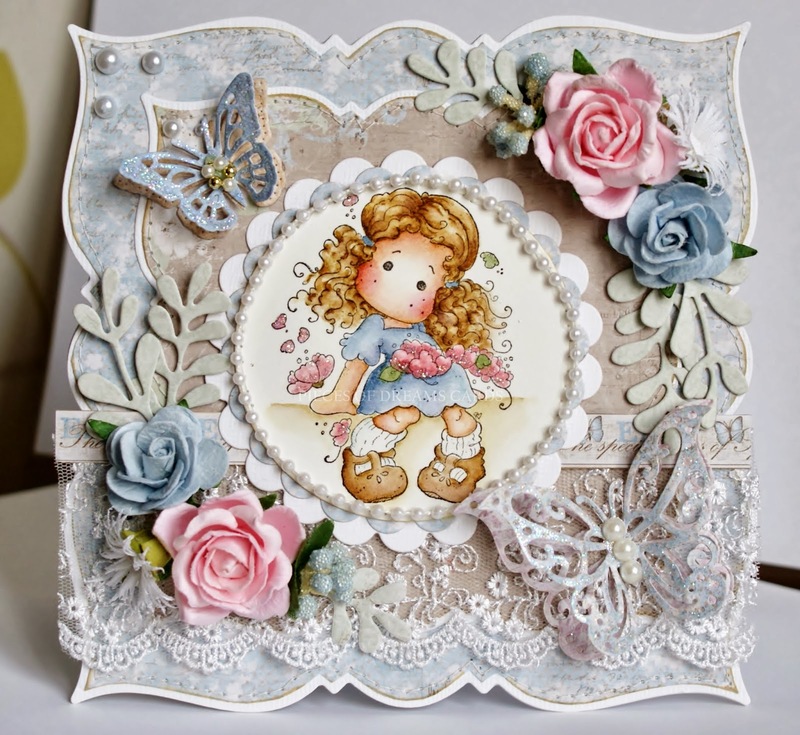 It's a very girly card this time with lots of lace and butterflies. 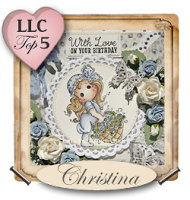 VERY PROUD TO BE FEATURED ARTIST OF THE WEEK WITH THIS CARD AT FASHIONISTA CHALLENGE. The papers are from the Sofiero Collection by Maja Design. They are all inked and stitched by machine. I will soon have to order some more. They are so pretty! 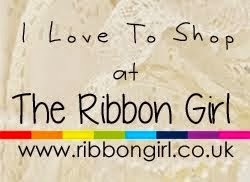 The lace, pearls, flowers and butterflies can be found at The Ribbon Girl. Dies are magnolia, border die Xcut. Butterflies are Prima resin. I added a little sprinkle of shabby white & gold Frantage heat embossing. This is the first of three cards I made last week. 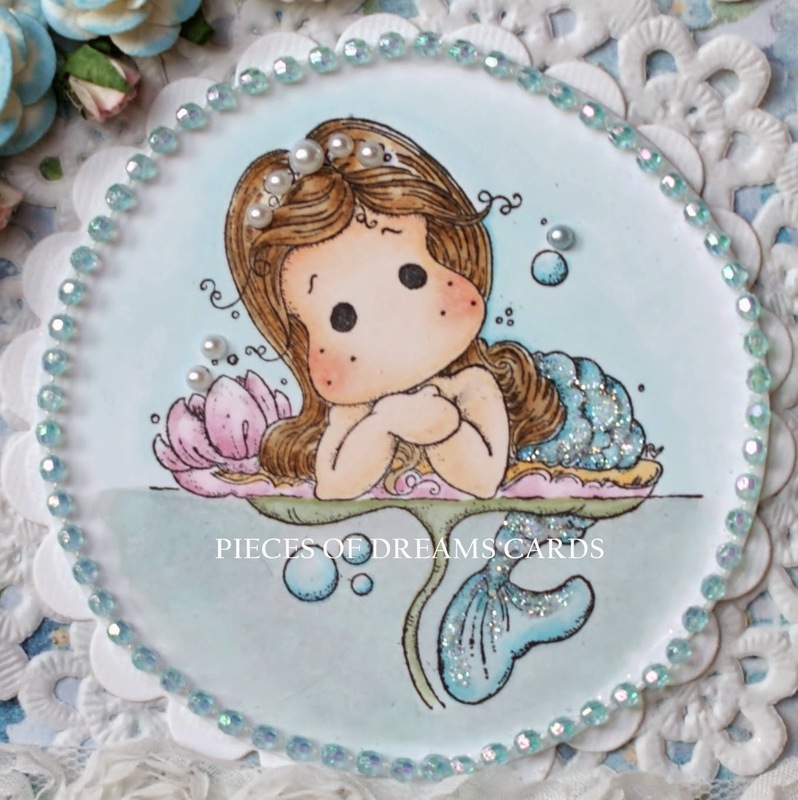 It's made using Pisces Tilda from the Zodiac collection and just for a change I coloured it with my Copics. The papers are both from Magnolia, inked to the edges and stitched. onto White Bazzill card. The beautiful clear, faceted hearts pick up mermaid colours from the papers. I love them! I added pearls to Tilda's hair and scattered Crystal Glamour Dust on her tail. The pretty blue bead stringing around the image is also from the Ribbon Girl. 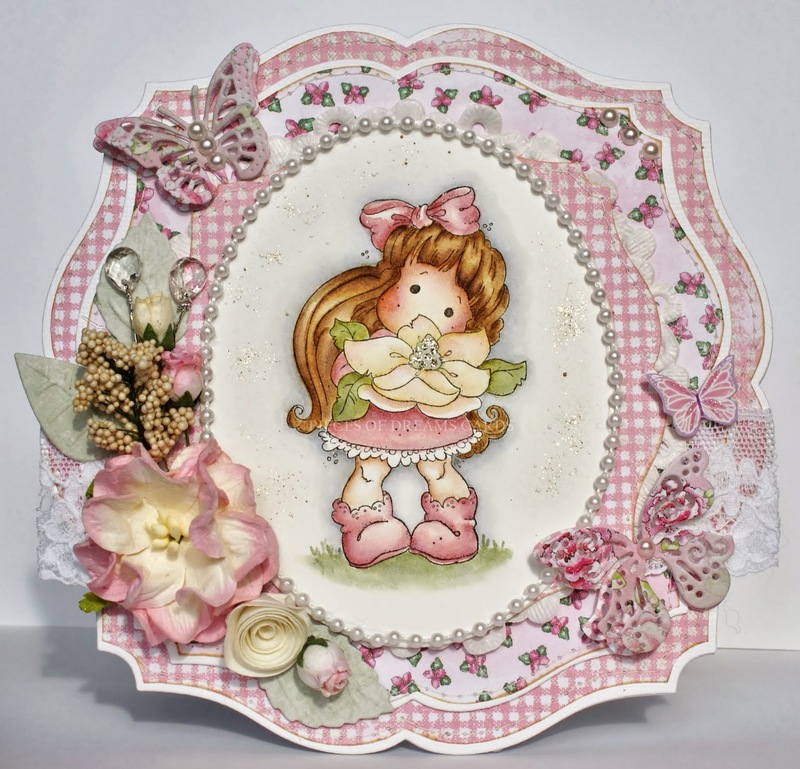 This is a card I made using Tilda with Magnolia Flower. To make this I used a Go Kreate die set and Magnolia papers. The papers are all inked and stitched. It isn't a very good picture I'm afraid. The real card is much brighter and clearer. Tilda is coloured with distress re-inkers on Langton hot press paper. are also from the Ribbon Girl. 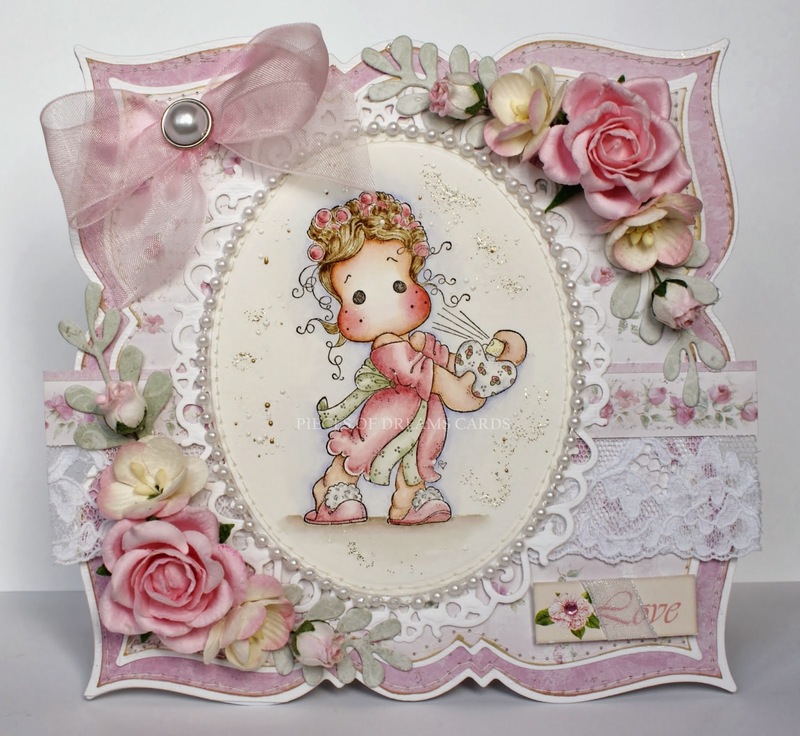 This card features pretty Sakura Tilda from the Special Moments Collection. I loved colouring her with distress re-inkers. I used Go Kreate dies to cut the card and paper, inking and sewing the edges. The paper is Maja Spring and I have cut butterflies to match, decorating them with stickles and pearls. 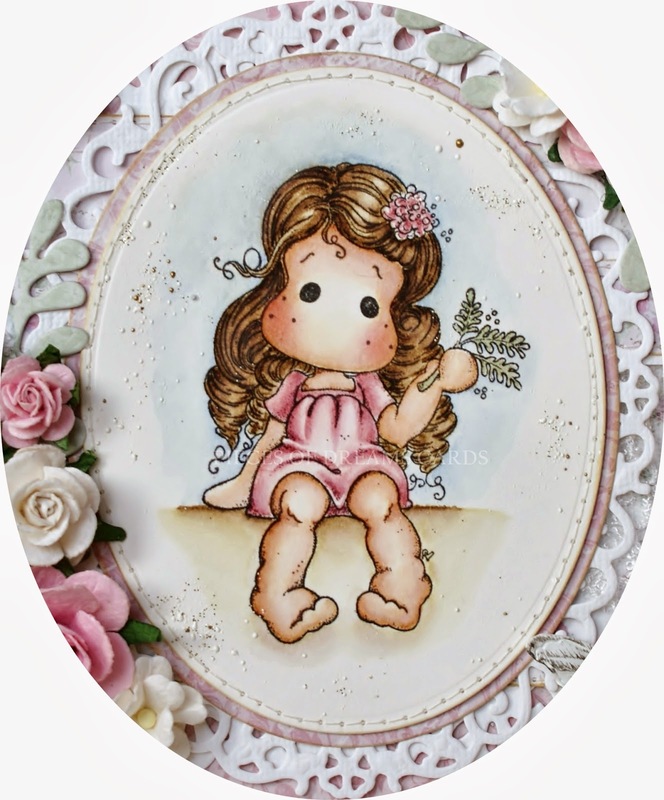 The flowers are a mix of Wild Orchid and the Ribbon Girl. All the lace and pearl strings are Ribbon Girl. Here's a closer look at Sakura Tilda. I hope you have as much sunshine where you are as we have here in London today. I have been sitting in the garden as the sun is really warm. My card today uses pretty Tilda with Scent. Being totally in love with her, I have to stop myself using her over and over. These papers have to be the prettiest I have ever used and perfect for Tilda. and stitched using my sewing machine. The other dies are from Spellbinder and Magnolia. 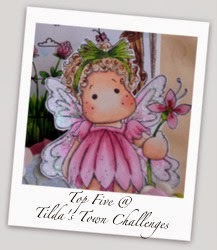 Tilda has been coloured using Tim Holtz distress inks on Langton Hot Press paper. I have heat embossed around the image with just a tiny sprinkle of Shabby White Frantage. 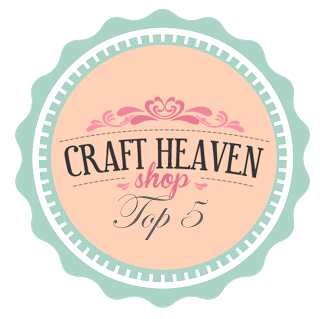 All the Flowers, Lace, Ribbon and Pearl Stringing are from The Ribbon Girl. 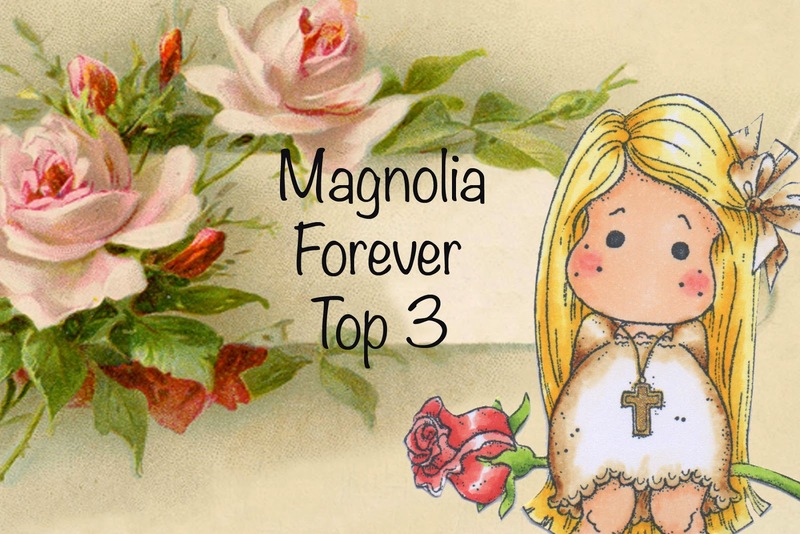 I am looking forward to the new Spring Magnolia stamps being released. They seem to get sweeter with each new collection.